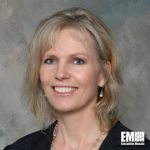 Ingrid Vaughan, formerly director of the Ground/Air Task Oriented Radar program at Northrop Grumman (NYSE: NOC), will take the role of vice president of manufacturing operations for the company’s electronic systems segment. Northrop said Wednesday Vaughan will be in charge of the business unit’s manufacturing capacity, capability, processes and tools as well as oversee its alignment with the overall operations. She will report to Nicholas Paraskevopoulos, who serves as VP and general manager of engineering, manufacturing and logistics. Vaughan joined Northrop in 1985 and has held other roles in manufacturing, engineering and program management, including as director of manufacturing for combat and defensive systems and deputy director of the Cobra Judy program. She is an alumna of Virginia Tech, Johns Hopkins University and Harvard Business School.